Dubai’s property market is stabilising and is on track to “bottom out” before the end of 2017, a new report by real estate consultancy Cluttons has found. While prices in the residential market continued to drop in the first quarter of the year, the rate of decline fell from last year. Average residential prices fell by 7.8 per cent in Q1, compared to 8.8 per cent in 2016, Cluttons said. The drop last year “signals the market’s weakest annual performance in five years, and sits 28.7 per cent below the Q3 2008 market peak,” the report stated. Average residential values in the city now stand at just over Dhs1,300 per square foot. Overall, 12 of the 32 submarkets monitored by Cluttons registered price declines during Q1, with the Burj Khalifa tower (down 6.9 per cent) leading the price falls. Over the last 12 months, the Burj Khalifa – the world’s tallest tower – has registered a 25 per cent drop in values, making it the weakest performer across the city. 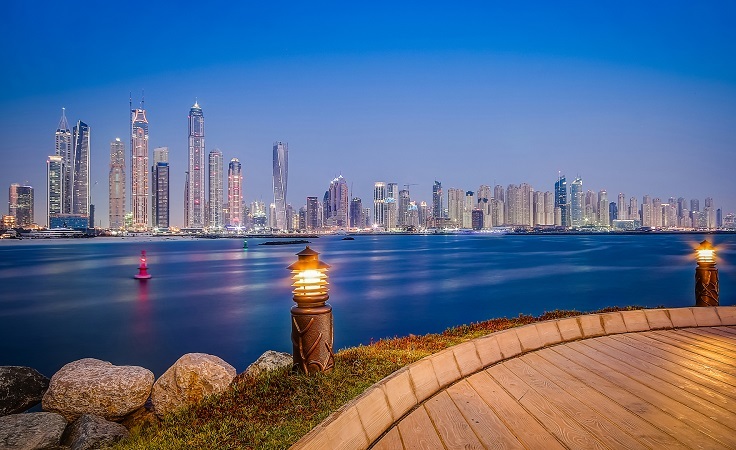 Hattan Villas at The Lakes (down 13.5 per cent), Hattan Villas at Arabian Ranches (down 12.6 per cent), villas on the Palm Jumeirah (down 12.3 per cent) and apartments on the Palm Jumeirah (down 11 per cent) rounded off the list of the five weakest performing markets over the last year. focus on areas perceived to offer the greatest value for money,” the report said. Overall, villa values were down by 6.8 per cent in the 12 months to the end of March 2017, while apartment prices dipped by a further 0.9 per cent in Q1 2017, leaving them 8.5 per cent lower than the same time last year. Faisal Durrani, head of Research at Cluttons said: “While local economic drivers may appear robust, regional and global economic uncertainty has undoubtedly curtailed domestic growth. “Despite this, the off-plan residential sales market has remained resilient and in fact accounted for 53 per cent of all deals in 2016, suggesting that investor confidence remains strong. A number of recent project launches have offered payment plans that extend beyond handover, with most plans amounting to payments of between 30 per cent to 40 per cent prior to completion. Looking ahead, the report anticipates that sales values will reduce by a further 5 per cent on average this year. In terms of rents, tenant demand also remains mute and has eased over the last 12 months, with a 9.9 per cent drop in average rents in the last year. “The rate of creation of senior level executive positions has fallen and this is reflected in the lower level of enquiries and budgets we are recording,” said Durrani. “The redundancy programmes in the city’s finance and banking sector and oil and gas sector have all but run their course, but the weak global outlook is putting other key sectors under pressure, including the hospitality and aviation sectors, both of which are long standing and historic cornerstones of economic growth. Looking ahead, villa rents are forecast to fall by 15 per cent to 20 per cent year-on-year by the end of 2017, while apartments are likely to decrease by a further 2 per cent to 4 per cent throughout 2017. Murray Strang, head of Cluttons Dubai, said: “While the short-term prospects appear relatively subdued, our view is that the rental market’s fortunes remain tied to the looming 2020 World Expo. At this stage, the mega event is one of the primary upside risks to our outlook. We know from experience that the lag between the take up of office space and the subsequent impact on the residential rental market is usually six to nine months.